Are you tired of leaving your home at 4 a.m. in order to arrive at the IAD at 6 a.m.? Getting more sleep the night before that leisure or business trip allows for a less stressful trip. 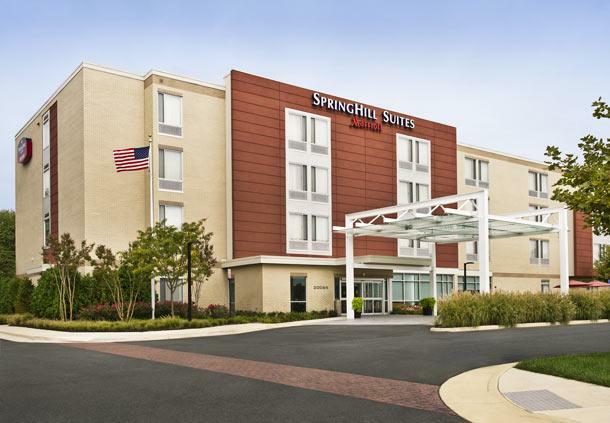 Use our Washington Dulles International Airport Park Sleep Fly packages and get that sleep you will need for the busy day ahead. Simply choose your desired hotel accommodations from our listings. 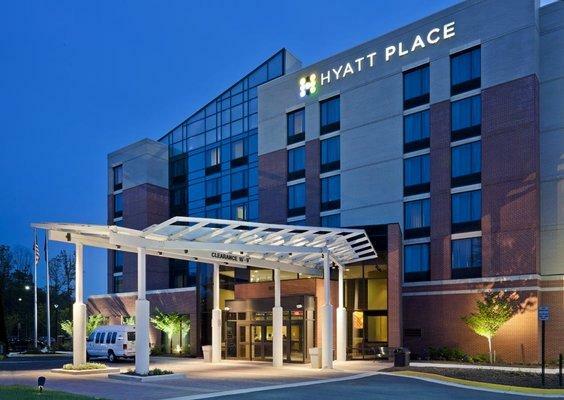 After booking a room through us, drive to the hotel the afternoon or night before your trip, park in the hotel's parking lot and enjoy a great night's sleep in a comfortable room. You will wake with less stress knowing you are so very close to the airport. 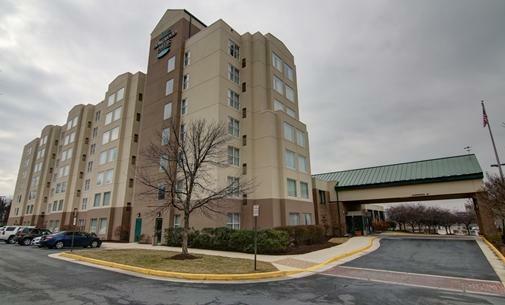 A free shuttle bus leaves the hotel on a regular basis driving airline passengers to and from Dulles Airport. Grab your bags and leave the driving to the shuttle drivers. If you do not mind the early rise, drive from home to one of the off-airport parking lots. Change your search requirement in the form above and find rates and availability for each of the most popular Dulles parking lots. Enjoy the free shuttle bus that takes you to and from the IAD Airport. 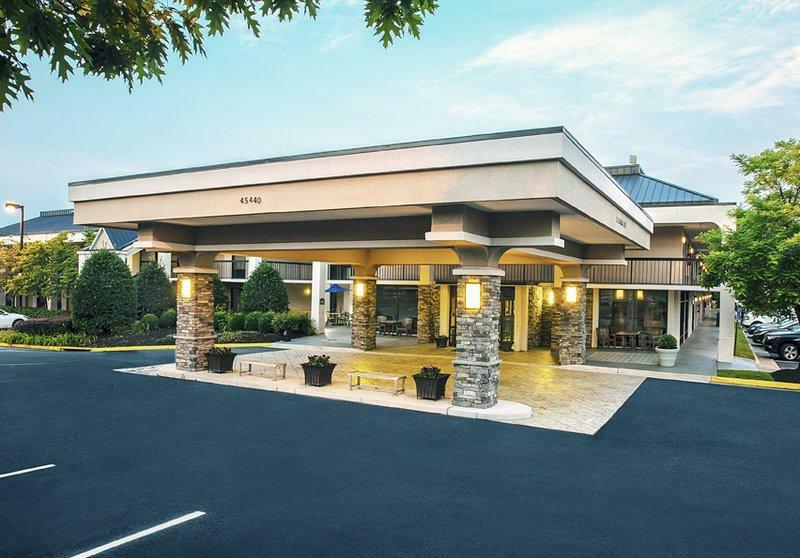 A reservation guarantees a parking space just for you. Washington Dulles International Airport is located about 26 miles west of downtown Washington D.C. in Virginia. Covering 13,000 acres, Washington Dulles International is only 1 of 3 airports that serve the Baltimore and Washington Metropolitan areas. Dulles was initially considered a ""white elephant"" because it was located so far out of town and offered few fights. Fast forward to today, and Dulles has over 21 million passengers a year. A typical day will see over 60,000 people pass through Dulles to over 125 destinations all around the world. The terminal complex consists of a main terminal and two midfield terminal buildings, with 123 gates. These terminals are all connected by the airport's plane mate vehicles, or ""people movers"" with 16 hardstand locations to get on and off."